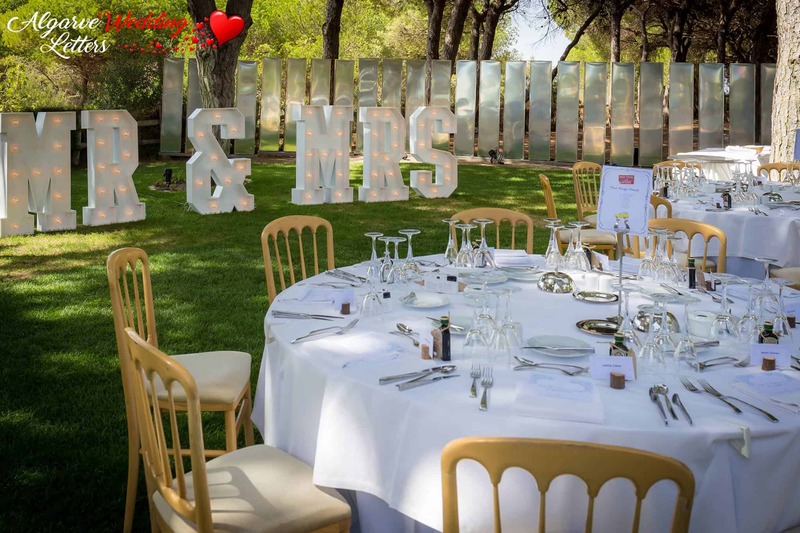 So you want something different for your Algarve Wedding? 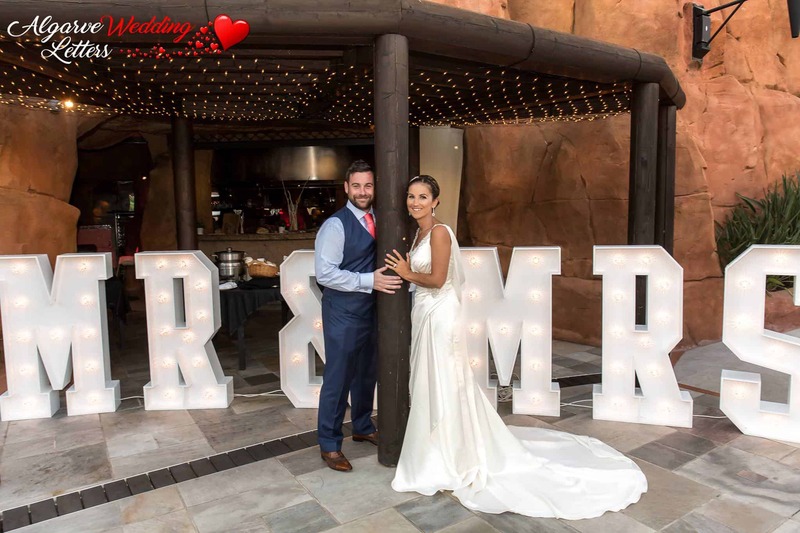 you want to Wow your guests and create the ultimate atmosphere, After all most of us only get married once and after the vows have been said its time to seal the deal with the reception party. 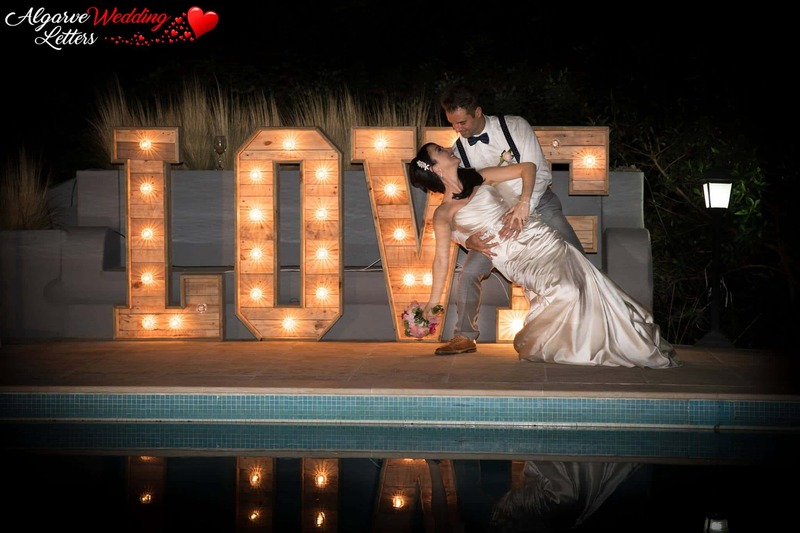 Our range of lighting decor has either been hand picked or made to our requirements, we have been in the wedding industry for many years and we know what looks good and what doesn’t, hiring from our ever growing range will not only wow your guests but will create the perfect atmosphere for the only two people that matter, you the bride and groom. browse our website and feel free to contact us with any questions or requests you may have, we are only to happy to help. Then its time to party! 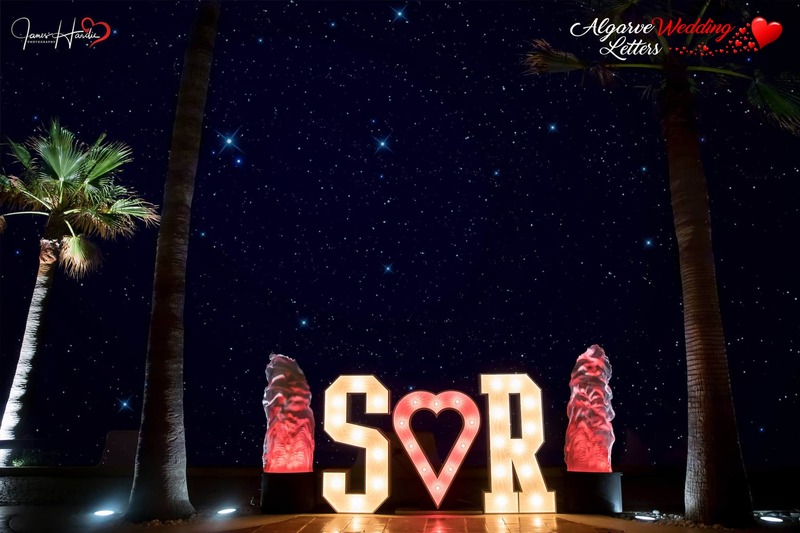 And that is where we can help creating your ultimate reception with our indoor and outdoor wedding decor from 4ft letters to light effects creating the effect to wow your guests and create the ultimate romantic party setting. 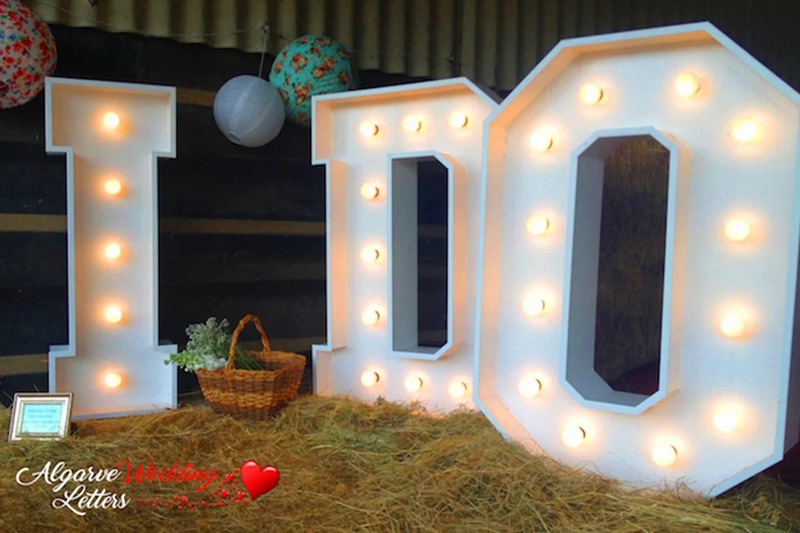 These stunning rustic letters at that chic feeling to any wedding day. Perfect for your wedding under the stars. These amazing Letters can be placed anywhere! They are mains or battery powered and can be a solid colour or can be set to flash. No matter what colour your wedding these will be perfect. 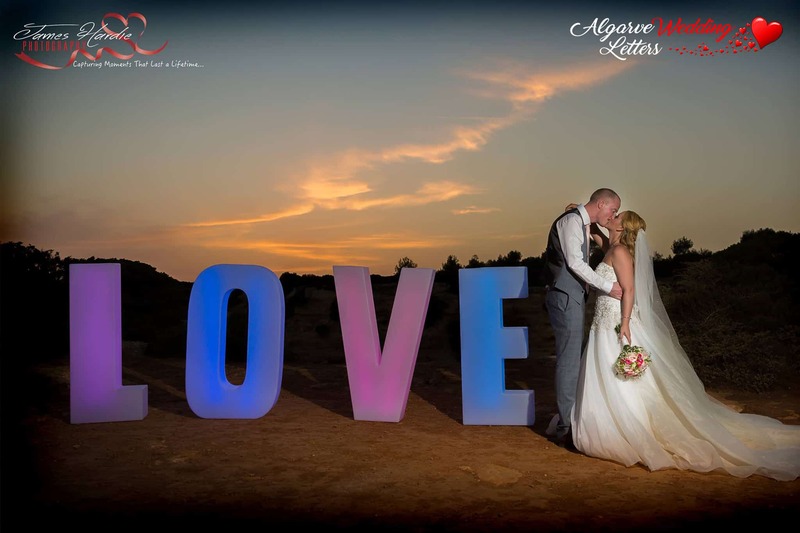 These Letters add a simple yet effective statement to any wedding day. They are perfect for smaller venues, where space is an issue. These wedding classics are a great way to illuminate your big day. 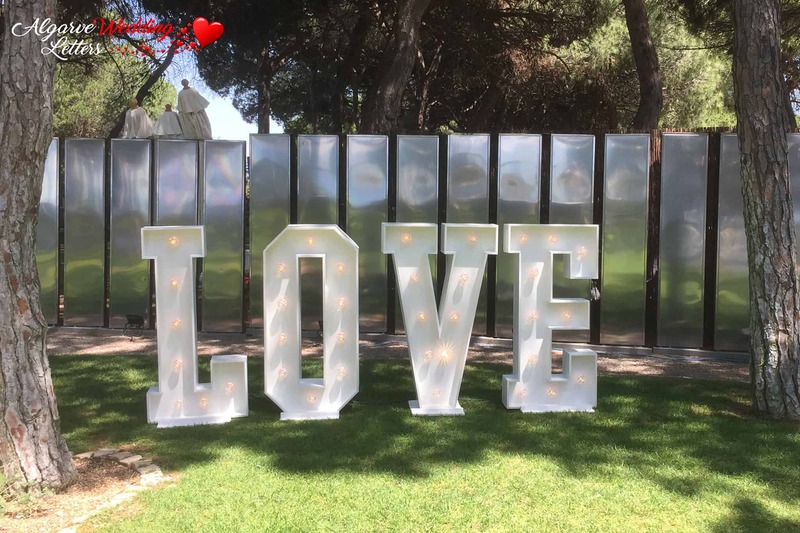 These 4ft letters make a stunning statement at any wedding. 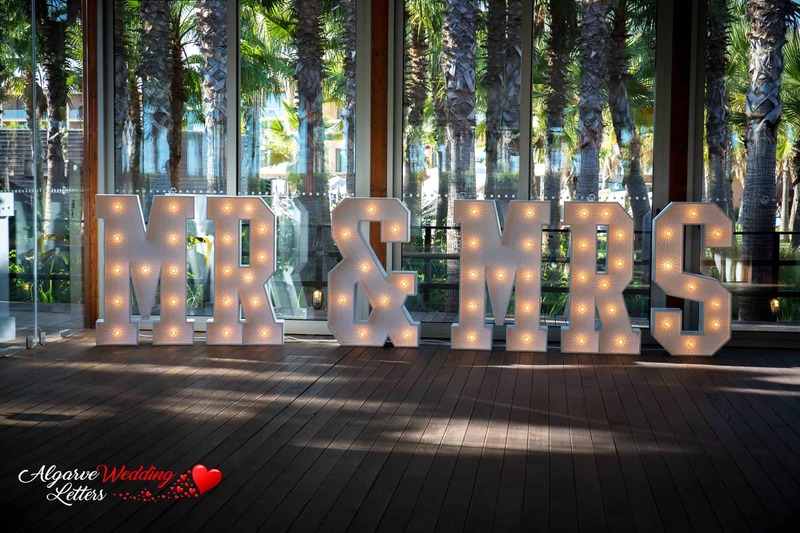 Have your Initials in lights on your big day. This adds that all important personal touch and is a great photo opportunity.